It’s peach season again! In our area July through September are prime peach season and I like to get them from the farmer’s market. When I can’t go my husband is nice enough to go and pick us up a bunch of peaches. I love making pies, breads, and even cakes with peaches in them. 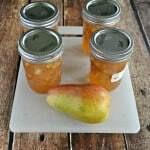 However, my favorite thing to do with peaches is to make them into jam, fruit butter, or marmalade. 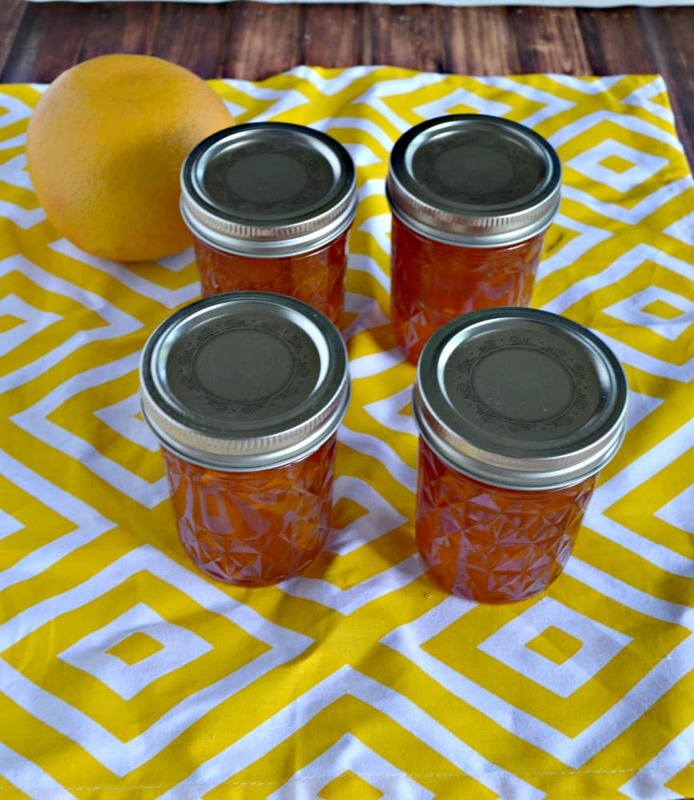 I love canning fresh peaches in order to enjoy them later on in the year. There’s nothing like opening up a jar of peach jam in January and enjoying that fresh, juicy peach flavor. 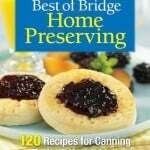 I’ve been canning my way through a new canning cookbook because it has some fabulous updated recipes. I’m really loving the flavor combinations and the booze paired with the different fruits. It’s called Preservation Society Home Preserves and it’s a really fun book for people who like to can. 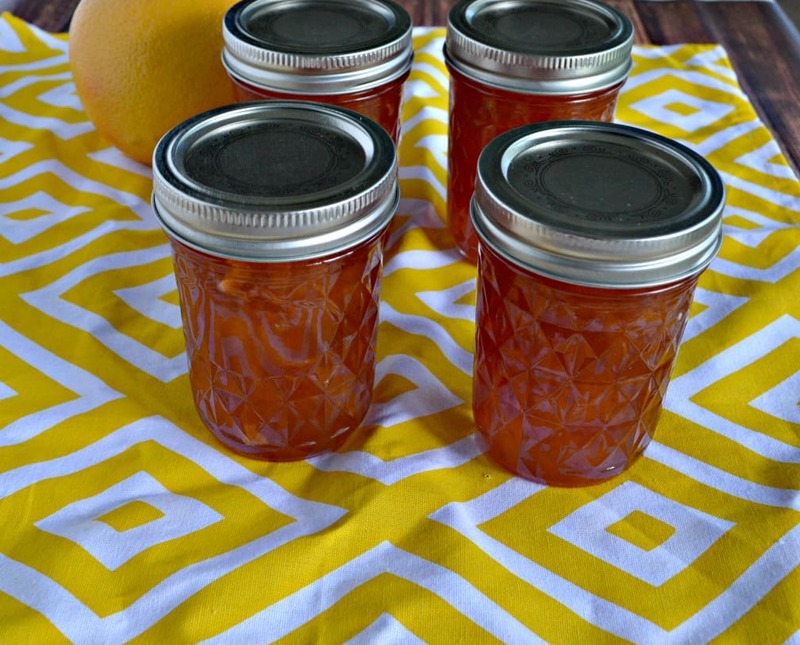 This recipe is for Peach Jam with Bourbon and Honey. Just the sound of it made my mouth water. I love peaches and honey together in my yogurt and on ice cream. I also think bourbon and honey pair well together so I couldn’t wait to get started on this jam. This recipe is super easy because everything is just thrown in the pot. There’s no peeling the peaches which I hate to do. I basically threw everything in the pot and let it sit overnight so all the flavors melded together. Then I boiled the mixture, pulled it from the heat, and stirred in the bourbon. That’s it! 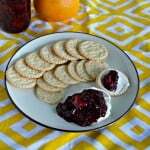 I absolutely loved the flavor of this jam. It was sweet, juicy, and tasted faintly of the bourbon. I could clearly taste each flavor but none of them were too overpowering. I enjoyed this jam on toast, on a muffin, and on top of ice cream. I think it would be great with a cheese plate and a glass of wine too! A sweet peach jam spiced with cinnamon and sweetened with honey then finished off with bourbon. Chop the peaches into small pieces. 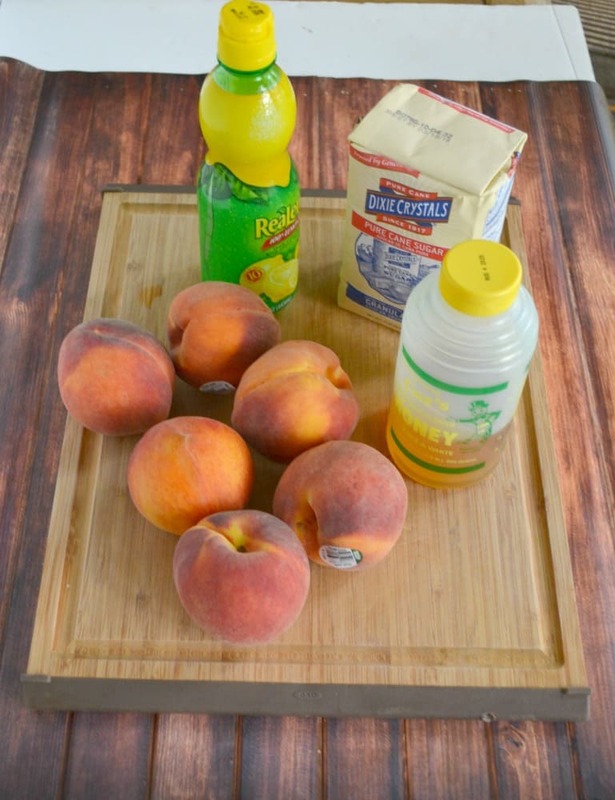 In a large pot or preserving pan combine the peaches, sugar, honey, lemon, and cinnamon. Cover and let stand to macerate for at least 30 minutes or up to 8 hours. Prepare the canning jars and lids as well as a boiling water canner. 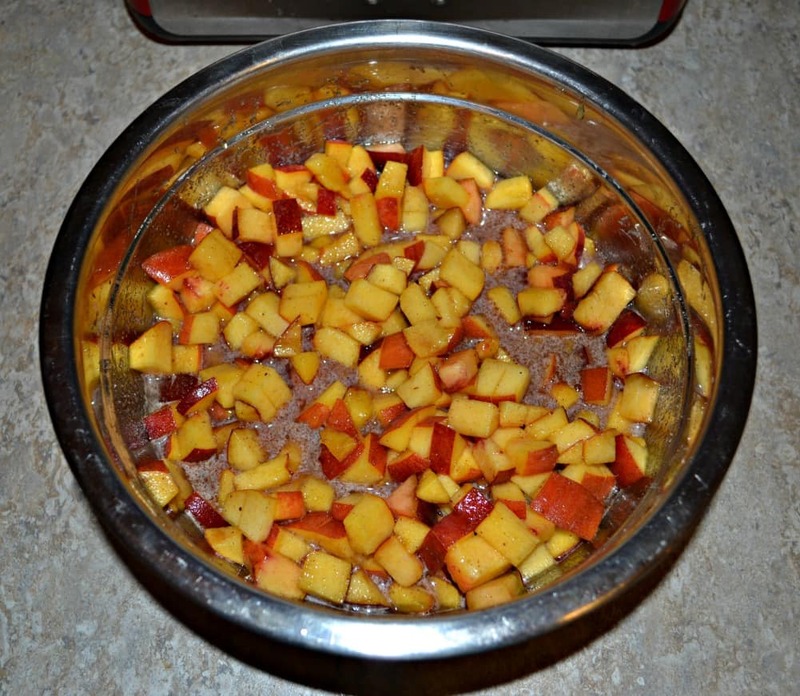 Bring the peach mixture to a boil over medium high heat. Add in the pectin and continue boiling, stirring often, for 15 minutes. Remove from heat and let rest 5 minutes. Stir in the bourbon. 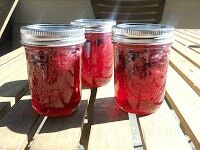 Ladle the jam into the hot jars and leave ¼ inch of headspace. Remove any air bubbles and wipe the rims. Place the lids on the jars and screw the bands to finger tip tight. Process in the canner with the lid on for 10 minutes. Make sure the jars are submerged and the water is boiling. Remove from heat and remove lid. Allow to cool for 5 minutes before removing from the canner. Allow to cool for 12 hours then check the seals.